I don't know if people are less curious online, or if it just doesn't translate as clearly, but one of the things I get asked about alot in real life is my cross religious marriage. Funnily enough I've never been asked online, although it's come up at blogger events. People tend to be fascinated by our Australian/Lebonese - Christian/Muslim marriage. The most common question I am asked is "Did you have to convert?". The simple answer is no. I didn't have to convert, and no, I didn't convert. I am still a Christian although admittedly it's been a long time since I attended church. The more complicated answer is no, I didn't have to convert, although that wasn't really the happy answer at the time. The marriage worried alot of people 13 years ago, Husband really stepped outside the traditional mould when we tied the knot. It would have been far simpler and made people much happier had I agreed to convert. Because yes I was asked. We ended up being married by a celebrant in an outdoor wedding. Each of us would have liked a religious wedding, but it was just too big a compromise to make either way. So a celebrant was a good middle ground. It was hard work in the early years of our marriage. There was so much compromise, and it wasn't always 100% clear that it was worth it. Have you ever had a fight where you just aren't quite sure it's worth making up? We had lots of those back then. There is no pork in our household. No ham. No Bacon and egg fry ups on Sundays. (Sniff). There are lots of arguments and compromise about things like when to pierce childrens ears, whether to circumcise, whether we can send our children to schools that practice a religion. Often someone is unhappy with the outcome. And often family members feel the right to weigh in with their opinions, which causes more strain than ever. Its hard work containing resentment on an issue that you've both had to compromise on when you have to have the argument over and over with people determined to make you change your mind. 14 years is a lifetime ago. There is no question any more about whether we are a family, whether we are a real couple, and we are both so comfortable with each others family that we spend time and socialise with the in-laws without one another. My kids celebrate Ramadan and Christmas both, and are a gorgeous Lebonese/Australian hybrid. I'm not sensitive to other people's curiosity. I don't mind if people ask questions, I know when Sal and I turn up together to blogger events everyone is fascinated by the family relationship. 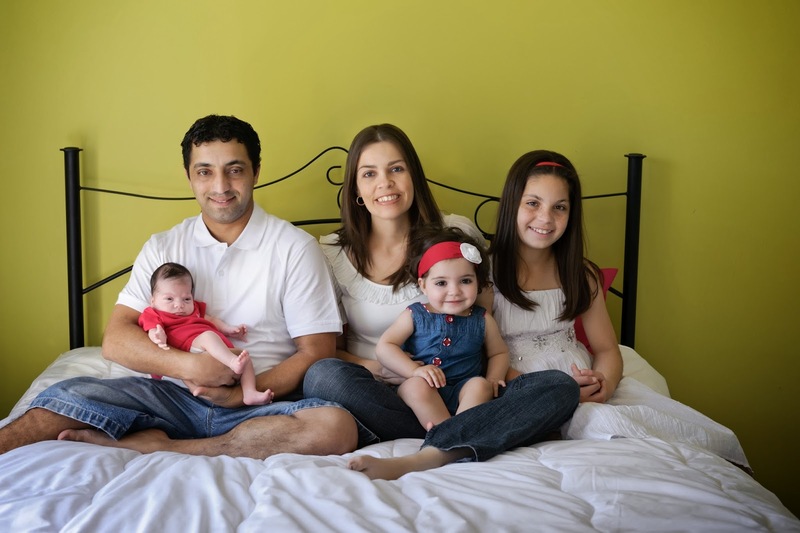 Do you have a blended cultural family? Is it a curiosity for others, or just a fact of life?